Nearly a month into his tenure, Uttar Pradesh Chief Minister Yogi Adityanath’s popularity has soared with his swoop on illegal abattoirs and “anti-Romeo” drives capturing the public imagination, a survey has claimed. Adityanath’s drive against illegal slaughterhouses, anti-Romeo squads, action against VIP culture and ban on paan masala and tobacco in government offices came up as the most popular decisions in the survey conducted by Gaon Connection, a rural media platform. On the other hand, the action against slaughterhouses have had a debilitating impact on the state’s meat industry. It has also reportedly emboldened cow vigilantes and fringe outfits active in this field. 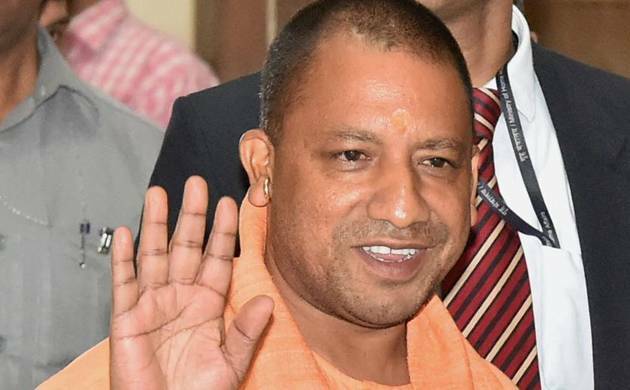 Overall, decisions taken by the Adityanath-led BJP government have 62 per cent approval ratings while 71 per cent citizens feel the firebrand Hindu leader, seen as a highly polarising figure in the past by his critics, is working in the “right direction”, the survey said. “The districts where the survey was carried out ranged from Lalitpur in the underdeveloped Bundelkhand region in UP’s southwest to Sonbhadra in the remote southeast, from Meerut in the west to Siddharthnagar in the east,” Gaon Connection said. Adityanath’s stunning elevation as chief minister, following BJP’s landslide victory where it won 325 seats in the 403-member state assembly, was seen as a move to stamp Hindu supremacy and, in this context, many saw the long shadow of his past in his first few decisions.